studiosheron has no other items for sale. DITA MACH ONE TITANIUM BLACK & GOLD DRX 2030-B-59 18K SUNGLASSES. 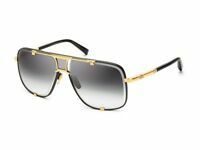 DITA MACH THREE TITANIUM DRX 2059-C-NVY-GLD-55 18K GOLD MEN / WOMEN SUNGLASSES.